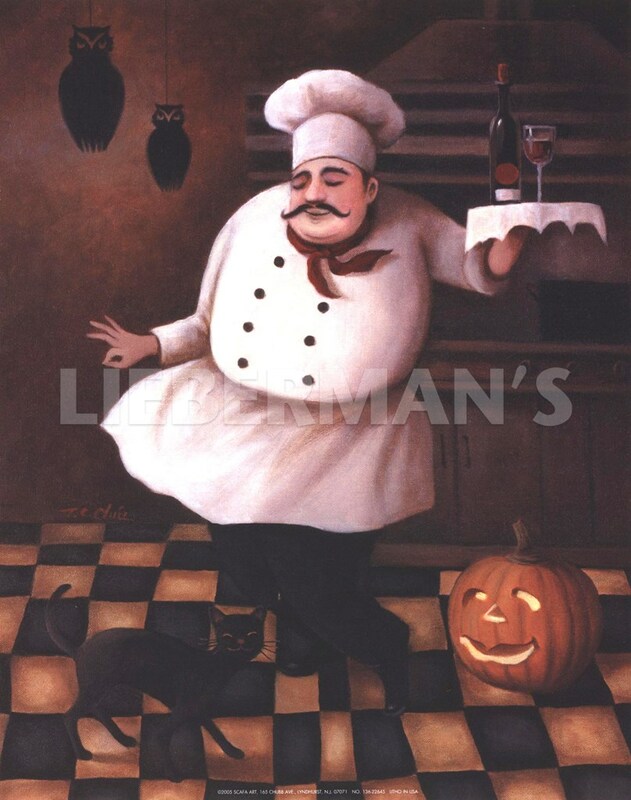 Halloween Chef II Fine-Art Print by T.C. Chiu at ChefDecor.com. In this piece by T.C. Chiu a chef dances in his kitchen, past a Jack - O - Latern and cat, while carrying a tray of wine.